Livermore, CA 94551 by appointment only. Door to Door Service for pick up and delivery. 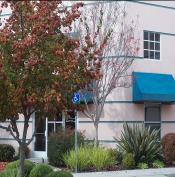 We are located off the Isabel/Portola Exit on 580 in the Airway Business Center. Our Danville location is for the convenience of our current customers closer to that area. We service the east bay area. We can conveniently pick up and deliver your paperwork items. We are also on-line for many functions.